On Monday the harshest and highest level economic and energy sanctions that can be imposed on any country have been imposed unilaterally on Iran. The US establishment will try its best to bring the Islamic Republic to its knees and Tehran will do its best to cross the US minefield. Whatever the outcome, Iran will never submit to Washington’s twelve conditions. 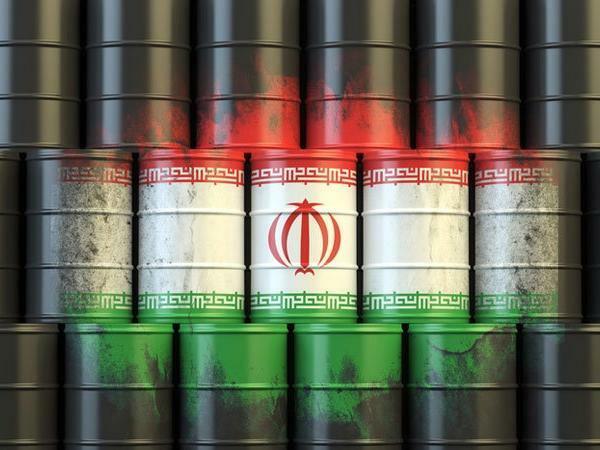 Iran is not a fledgling country ready to collapse at the imposition of the first tight sanctions, nor will Iran allow its oil exports to be frozen without reacting. In fact, US and UN sanctions against Iran date to the beginning of the Islamic Revolution and the fall of the Shah in 1979. Under the previous worldwide sanctions regime, Iran began developing missile technology and precision weapons. Iran has never yielded in support of its allies because these alliances are an integral part of its ideology. Today, Tehran is not standing alone against the US and is waiting to see what course global sanctions will take before reacting. Officials in Tehran, convinced that Trump will win a second term, are preparing for a long siege. Sayyed Ali Khamenei said his country will never strike any deal with the US and won’t be a party to any future agreement because the US is fundamentally untrustworthy. Iran relies on the unity of its own citizens and on the support of its partners in the Middle East, Europe (a crucial strategic ally), and Asia. Europe, notably, is trying to disengage itself from the US sanctions, but so far with little success. Its leaders are begging in vain for an exemption for trade in food and medicine to reduce the population’s suffering. Trump is determined – even if these measures are harmful to the European economy – to prevent any transactions between Iran and Europe. This is one of the main reasons why the European continent is looking at implementing a long-term strategy specifically to disengage itself from the Swift messaging service used by banks and financial institutions for all trade transactions worldwide. One of the main problems that remains is Iraq. The US aims to create internal struggle within Baghdad’s political circles, notably between pro-Iran and pro-USA factions. Nevertheless, Mesopotamia will never close its doors on Iran’s trade and will maintain the flow of goods between the two countries, regardless of consequences. If Trump decides to deal more harshly with Iraq, he will push the country further into the arms of Iran. Trump has already shown signs of weakness: he granted a temporary sanctions waiver to eight countries, including Russia, China, Turkey, Japan, India and South Korea. And Russia, China and Turkey have announced that they will not abide by any sanctions, with or without US blessing. This means that Iran will not be completely surrounded; these countries will trade extensively with the Islamic Republic. Iranian exports of 2.5 million barrels per day will be reduced but will never be shut down completely. Thus US plans–to hit Iran’s economy, change the regime, stop innovative military production and curtail Iranian support to its allies in Lebanon, Syria, Iraq, Yemen and Afghanistan—are not feasible. For a case in point: the “Islamic State” (ISIS) terrorist group managed to sell its oil for several years. Stolen oil from Iraq and Syria reached the Mediterranean and was even exported outside the Middle East. By the same token, a long-established country like Iran will not find it very difficult to export its oil. Trump’s sanctions have terrorized his allies more than his enemies. These allies are seriously looking today for other alternatives. What was inconceivable has become a reality; US actions respect no limits or boundaries. The new sanctions will help Iran to become even more independent and self-sufficient in many fields. 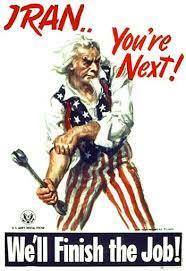 Furthermore, the number of countries concerned by and determined to escape US hegemony is increasing. The US is showing a few diplomatic skills: in reality, it has become a giant, indeed, very strong, entity with a lot of muscle but few brains. At the same time, there are strong indications that the US is extremely concerned about its worldwide position. Europe is not hiding signs of rebellion against the US; China and Russia are emerging as potential world leaders, while Turkey may reassert a leadership role in the divided Arab world. These countries will certainly remain outside the US orbit, and many other countries, realizing that their interests are no longer served by an alliance with the United States, will slowly but surely join them.